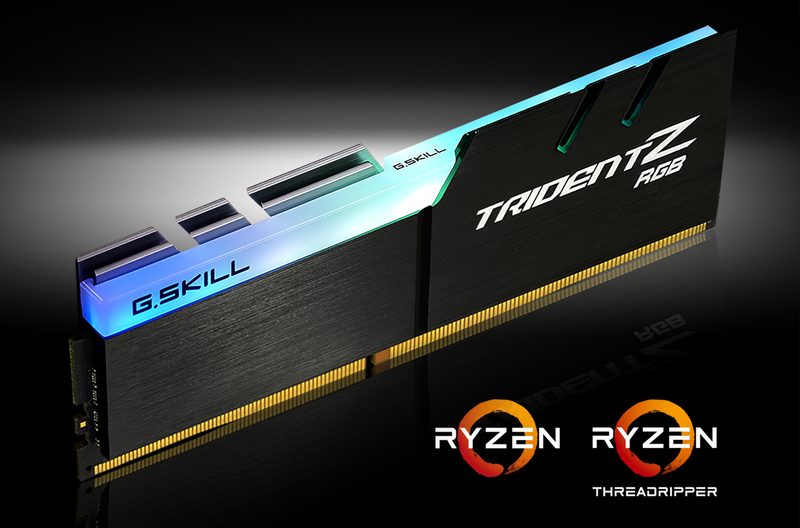 G.Skill has officially announced their latest high-performance DDR4 Trident Z RGB memory kits for AMD’s Ryzen and Threadripper platform. The new memory kits ensure the best compatibility and support for AMD’s new generation of processors on the X370 and X399 motherboards. Now first thing first, we all love AMD’s new Ryzen and Threadripper CPU platforms. They offer high end performance and disruptive pricing that have shaken things up in the CPU industry. Now a new CPU platform takes time to mature as it receives updates in the form of fine tuned software and a range of supported and compatible hardware. In the case of AMD, memory support has been very crucial but manufacturers like G.Skill are working round the clock to fine tune the performance on their memory kits. 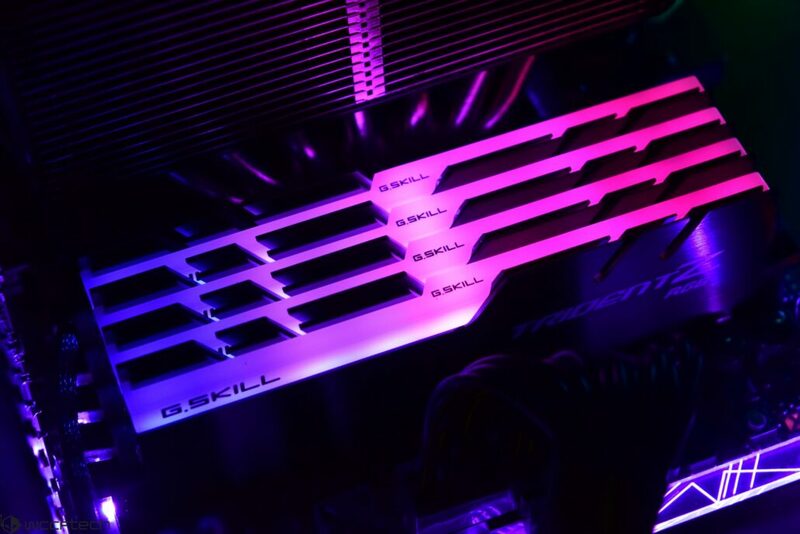 These new Trident Z RGB models support OC profile support on compatible motherboards, just simply enable the OC profile in BIOS to achieve these high performance DDR4 memory speeds. These new models are scheduled for release via G.SKILL authorized distribution partners in October 2017. Aside from being compatible with AMD platforms, the G.Skill Trident Z RGB kits are some of the best looking memory modules designed to date. The RGB Lighting on the top and the solid metal heatsink with brushed aluminum textures look and feel very premium inside desktop PCs. If you are the one who wants their PC to look great, these are some of the best memory modules you can purchase right now. The availability is stated for October 2017 but we will update you once these are available on retail outlets.